NAMI Capital Region NY programs are almost always FREE. Brochures and electronic downloads are also free. Donations are welcome but our priority is helping others so they do not go through some of the problems that we have. 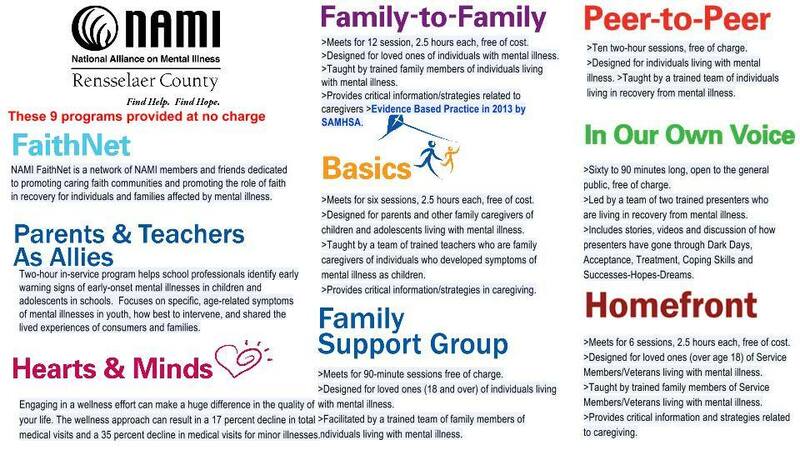 Hearts and Minds – educational program available through NAMI for individuals living with mental illness looking to improve all areas of their lives. For more information you can contact NAMI Capital Region NY at 518-588-6949 or email at namicapitalregionny@gmail.com.